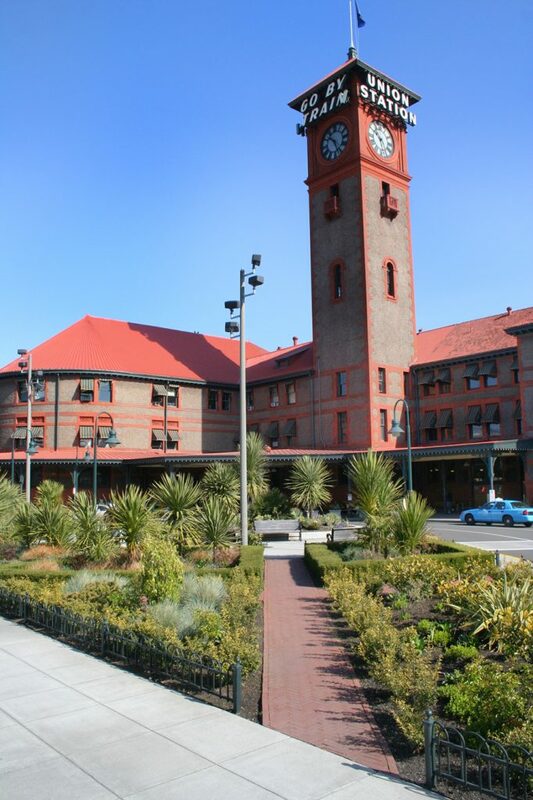 Home to an Amtrak train station, Portland Union Station has long served as a transportation hub for the city. 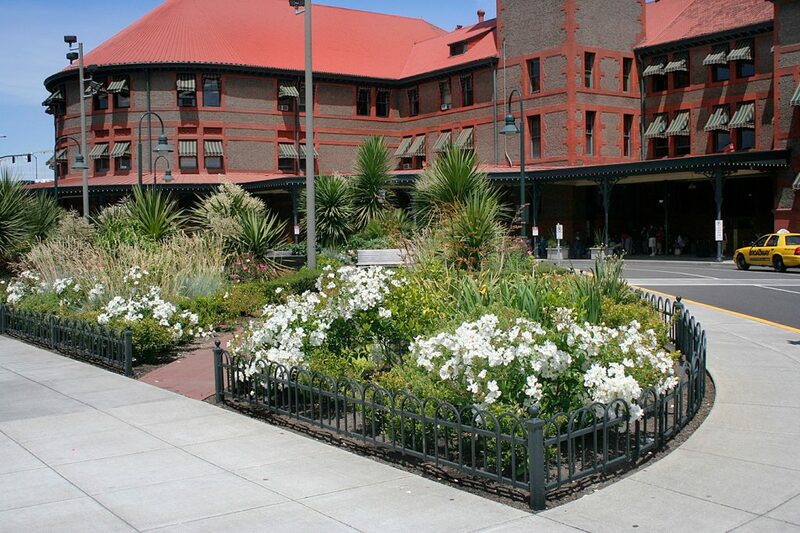 Today the station, which is owned by Prosper Portland, is a short walk to the Greyhound bus station, a Portland MAX station and both lines of the Portland Streetcar. 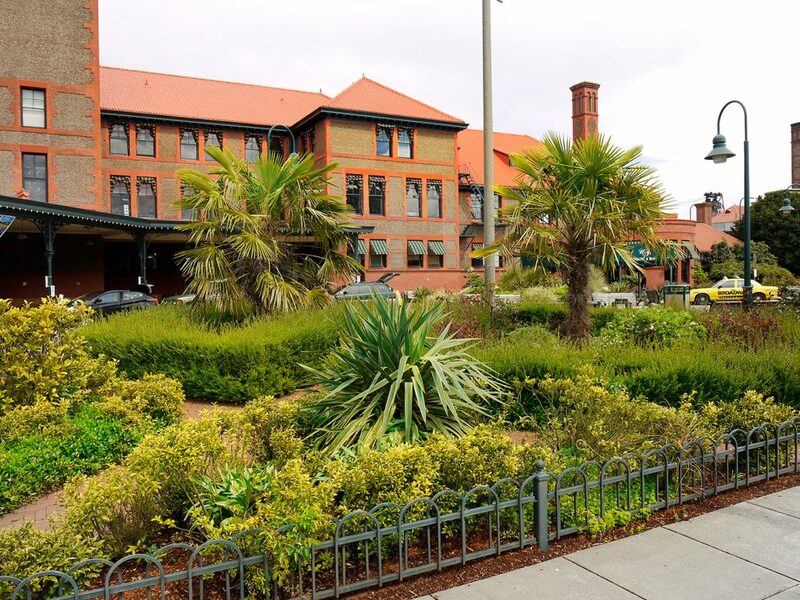 The design for the brick building, completed in 1885, included a grand entry that was never constructed. 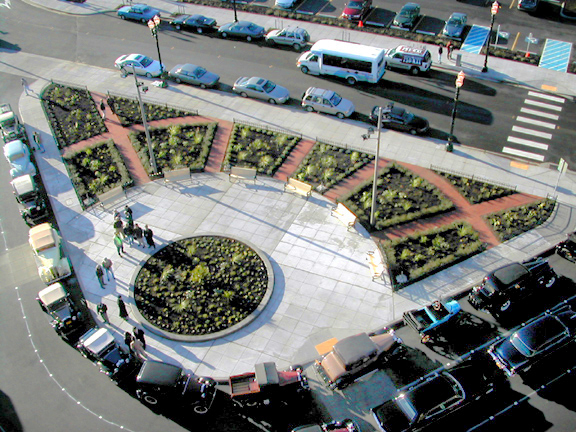 When Prosper Portland set out to complete the 6th Avenue Street Extension project outside Union Station, the agency decided to invest in an entrance plaza that matches the historic character of the building. 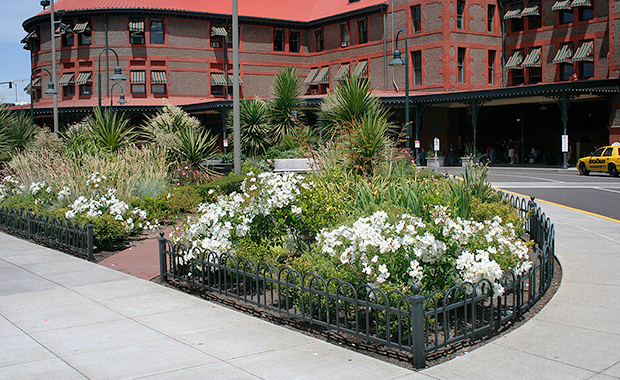 NNA Landscape Architecture designed and completed the new entry plaza, which features brick paths, wrought iron fencing and a garden reminiscent of the Victorian era, complete with period-specific plant species. 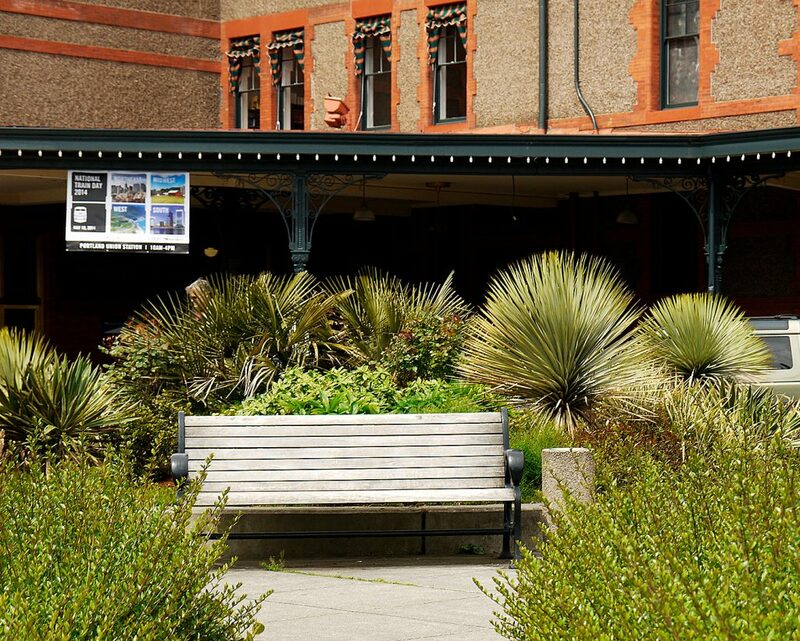 The garden, located near a microclimate created by the nearby Willamette River, includes a collection of hardy, semi-tropical species. 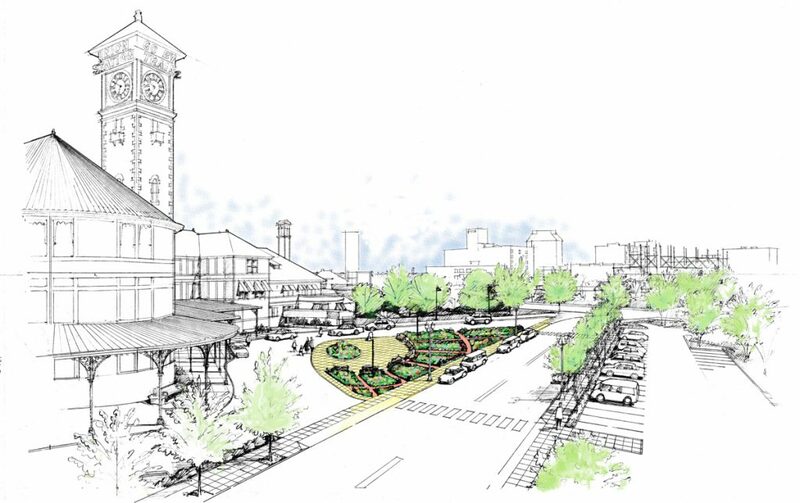 The Portland Union Station Plaza garnered support from Portland’s Historic Design Review and the Oregon State Historic Preservation Office.